Wolverhampton was once one of the principal centre’s for Britain’s first motor vehicle production. The surviving Sunbeam Factory in Paul Street, Wolverhampton is a rare gem. Known locally as Sunbeamland due to its once major status and employment in Wolverhampton, the Sunbeam Factory is one of a small number of symbolic surviving buildings that have direct associations with the nations early flirtations with speed, motor travel and personal freedom. 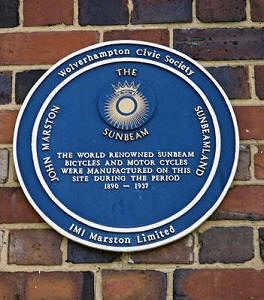 The Sunbeam identity was founded by John Marston, who was born in Ludlow, Shropshire, UK in 1836 of a minor landowning family. In 1851, aged 15, he was sent to Wolverhampton to be apprenticed to Edward Perry as a japanware manufacturer. At the age of 23 he left and set up his own japanning business, John Marston Ltd, making any and every sort of domestic article. 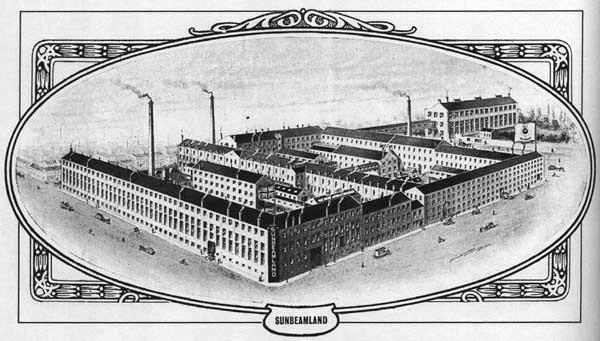 He did so well that when Perry died in 1871 Marston incorporated his company into his own. 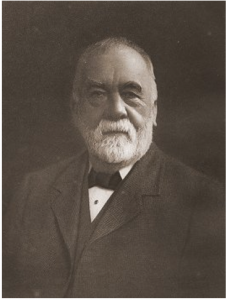 The company began making bicycles, and on the suggestion of his wife Ellen, Marston adopted the trademark brand "Sunbeam". Consequently, the Paul Street works were called "Sunbeamland". The Company first made bicycles, then motorcycles and cars from the 19th century until about 1936 when they went into receivership. The Company was also involved in manufacturing aero engines in World War I and 647 aircraft during World War II. 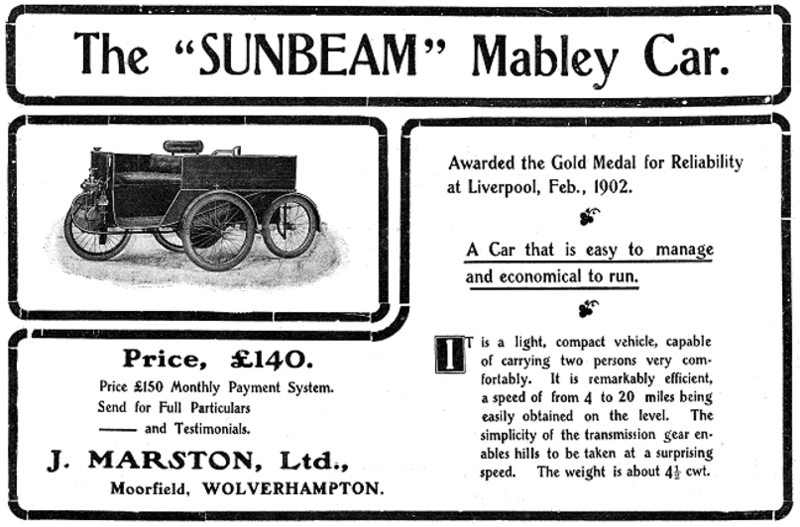 The first production car named as a Sunbeam was introduced in 1901 and was sold for £140. In 1905 the Sunbeam Motorcar Company was formed which was to concentrate solely on the production of motorcars. By 1911 Sunbeam were building about 650 cars per year making them a major manufacturer in the UK. In 1920 Sunbeam merged with the French company Automobiles Darracq S.A. creating Sunbeam-Talbot-Darracq, or STD Motors. 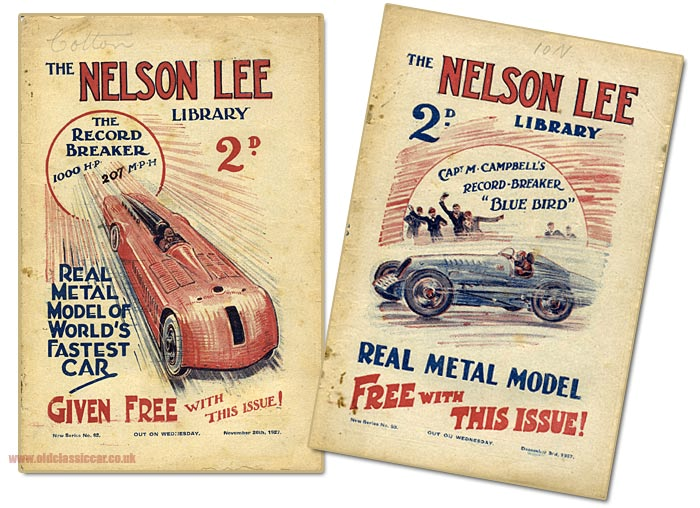 Racing cars were transferred to STD, and were campaigned under the different brands depending on marketing needs. 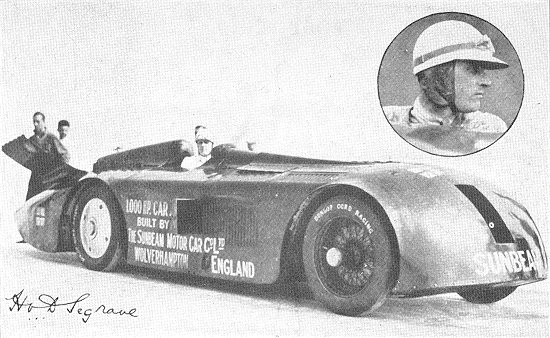 Under the guidance of the car designer Louis Coatalen a Sunbeam was the first British car to win a Grand Prix race, and it set a number of land speed records. 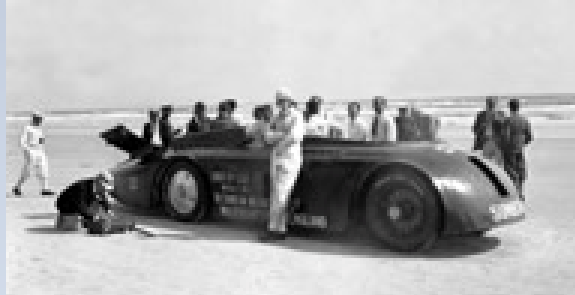 Indeed on 29th March 1927 the truly gigantic Sunbeam 1000HP car, powered by two 450 hp (340 kW) Matabele engines captured the speed record at 203.792 mph (327.971 km/h). Making the City of Wolverhampton world famous. A postcard commemorating the event was produced by Selfridges of London. The racing, however, was expensive, Sunbeam remained unpaid for World War I work, and unfortunately the company went bankrupt in 1934. STD Motors was subsequently purchased by the Rootes Group in around1936. The Rootes Group decided to keep the Sunbeam marque manufacturing cards, double decker buses and trolleybuses until 1976 when new owners Chrysler rebranded the vehicles. Despite its prominence in Wolverhampton City the Sunbeam Factory has laid empty for many years being officially abandoned in 1997. However, the building has been recognised for it’s importance in Wolverhampton’s manufacturing history and is adorned by a Wolverhampton Civic Society plaque. This historic and currently disused landmark, sits on a 1.5 acre (0.6 hectare plot). It comprises 120,000 of industrial space across five large perimeter blocks of varying architectural styles, arranged around an inner courtyard. Directly fronting the Wolverhampton Ring Road, this major site forms an integral part of the city’s industrial history and the manufacturing heritage that led the Midlands to be known as the ‘workshop of the world’. Working with Wolverhampton City Council, QED Developments Ltd has secured planning for residential use, restoring the site to provide a range of residential letting options that is entirely in keeping with the building’s character and history, and preserves features including facades and windows wherever possible, as can be seen from the artists impression on our homepage.